What year are we in exactly? The disturbing video below will take you back. All the way back, to the 1970’s. A time when F1 races continued while wrecked racecars remained on the race track. A dinosauric time period in terms of racing safety. What happened? 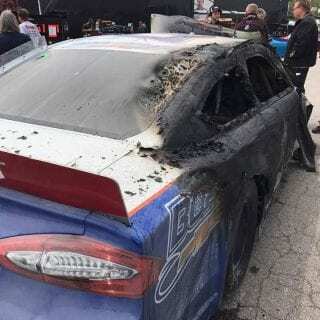 The #80 ARCA Racing Series car driven by Brian Finney caught fire. 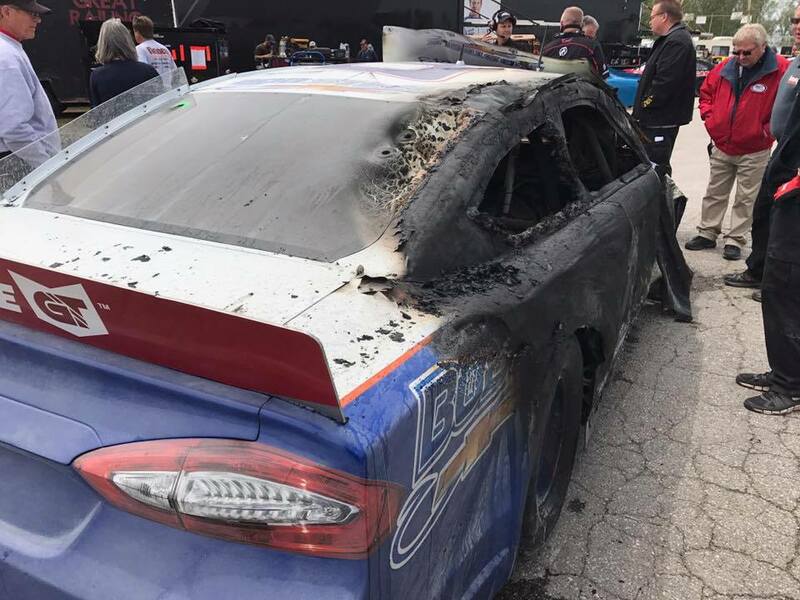 As the car went ablaze, none of the safety crew members felt the need to put it out. Very literally. Safety crews were there. They parked their truck directly down-wind, smoke billowed into the safety truck. They parked, got out and did nothing. Failing to even reach in the back of the truck for the fire extinguishers. Instead, all extinguishers remained in the safety truck. The truck that they again… Parked in way of a pool of smoke, for some reason. 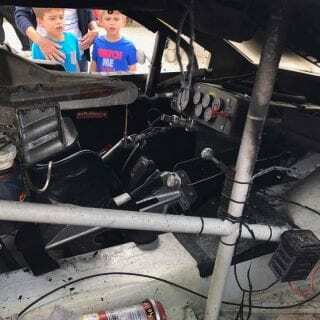 Finney Racing Enterprises ran into their trailer, grabbed the team fire extinguishers. 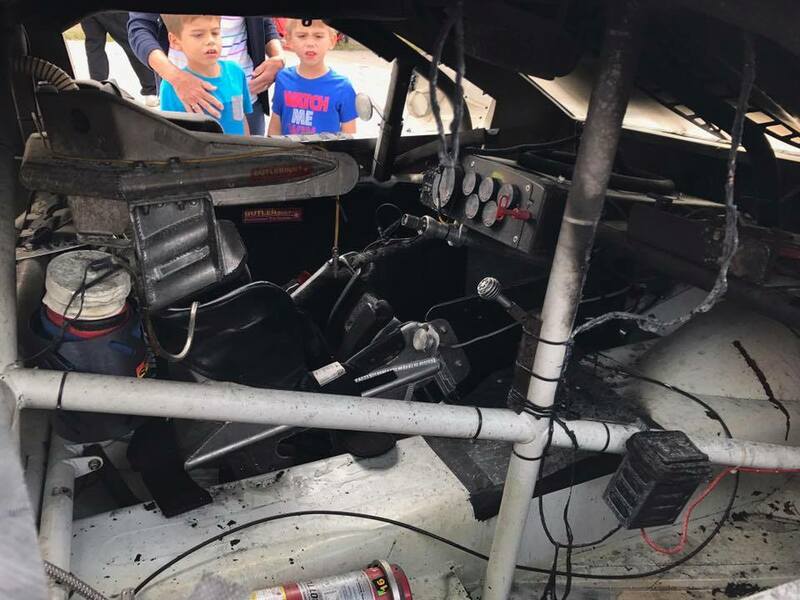 They planned to run across the track and put out the fire on their own racecar. However, they were halted at the pit gate, not allowed entrance to the track. 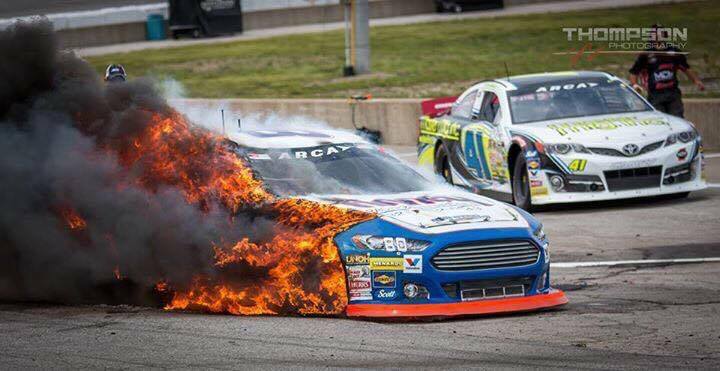 Meanwhile, the racecar fire continued to flourish. 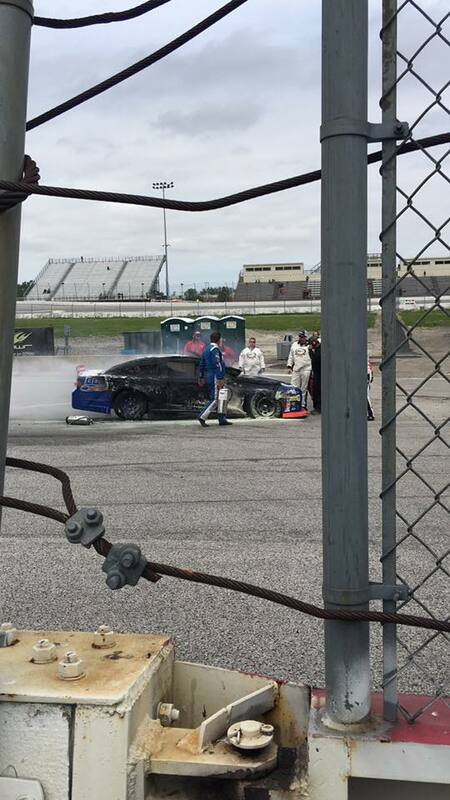 It gets worse… The driver, Brian Finney, climbed from his own flaming racecar. He soon realized he was on his own, forced to take action. 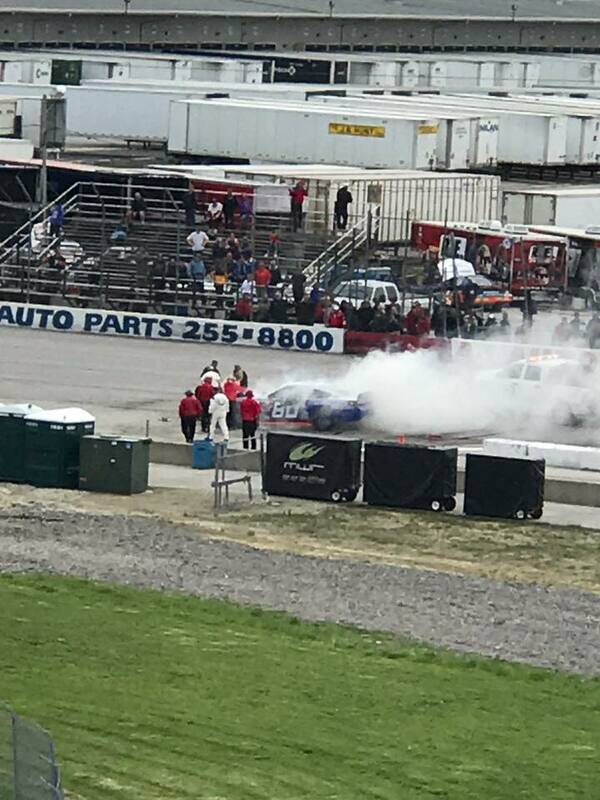 He bolted to the truck bed of the ARCA Racing Series safety truck, grabbed a fire extinguisher and took matters into his own hands. 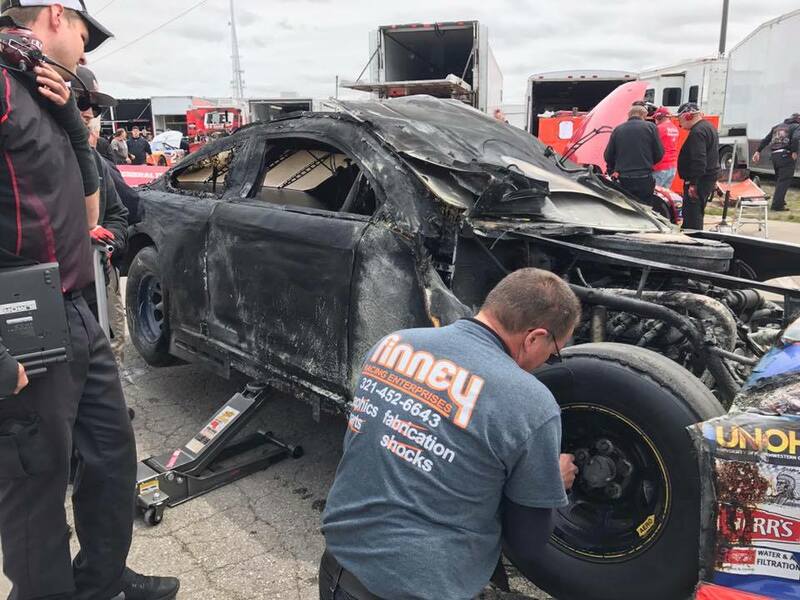 The driver became the safety crew. 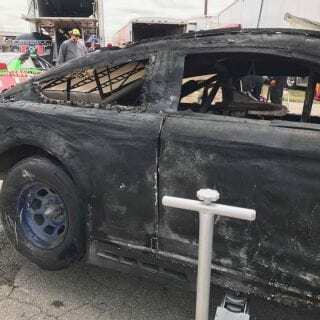 Brian Finney, who has no fire control knowledge, extinguished his own racecar. The trained track safety crew stood behind the scenes, in awe, watching the show. It sounds like a horror movie. To the team, I’m sure it was. 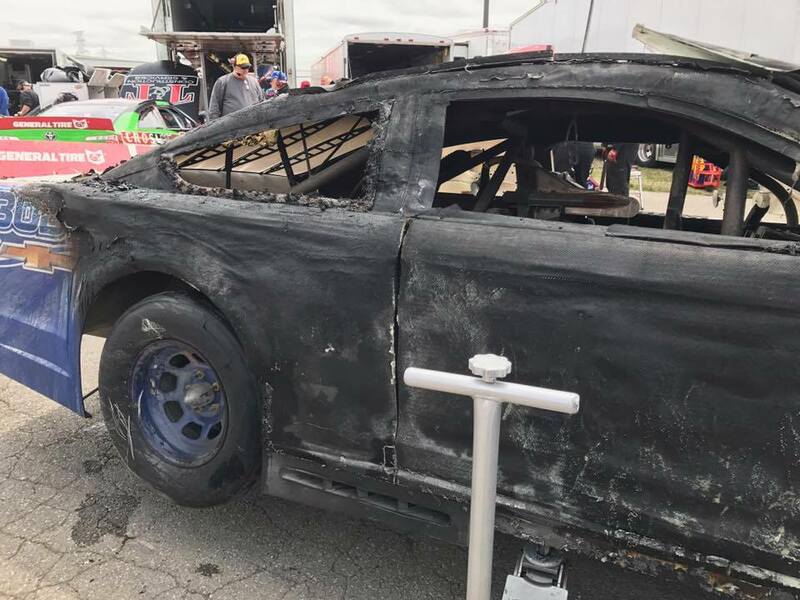 They’ve lost a racecar. 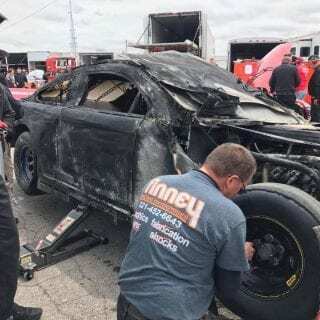 A racecar that could have easily been saved had the safety team acted like a safety team. Instead, it was the equivalent of a fire truck parking at a burning home. Firemen, exiting their big red truck just to stand and watch with the neighbors. All as the family of the home operated the hose on the fire truck. Crazy! 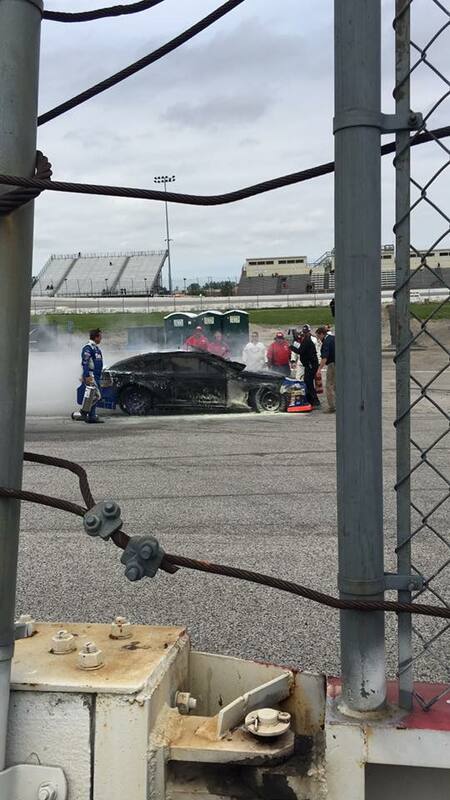 This took place during ARCA Racing Series practice yesterday. 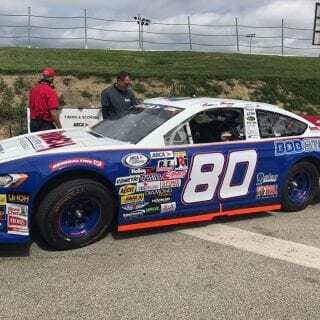 The Toledo ARCA race was scheduled for today. It has been in a weather delay. Meanwhile, the team, who had two cars entered in the show, went home. The other driver was Scott Reeves, piloting the #04. 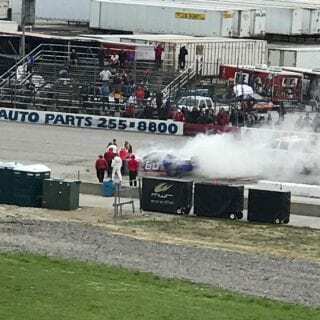 Perhaps they weren’t encouraged to risk their lives after witnessing the way safety crews operate at Toledo Speedway? 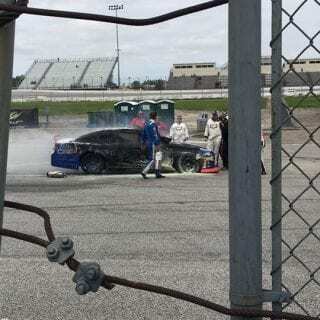 To make matters worse, this took place at Toledo Speedway. A track operated by the ARCA Racing Series. It’s jointly owned by Roy Mott and ARCA President Ron Drager. The track is a 1/2 mile paved oval in Toledo, Ohio. Due to the significant fire damage, it’s unclear what caused the fire. The team could not be reached for immediate comment. 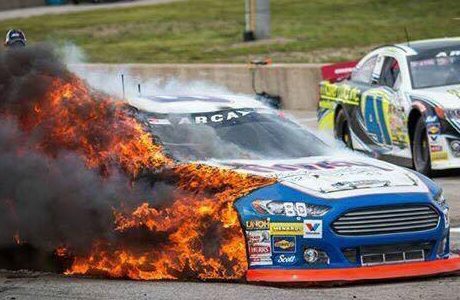 ARCA Racing Series, at this time, also has not issued a statement. 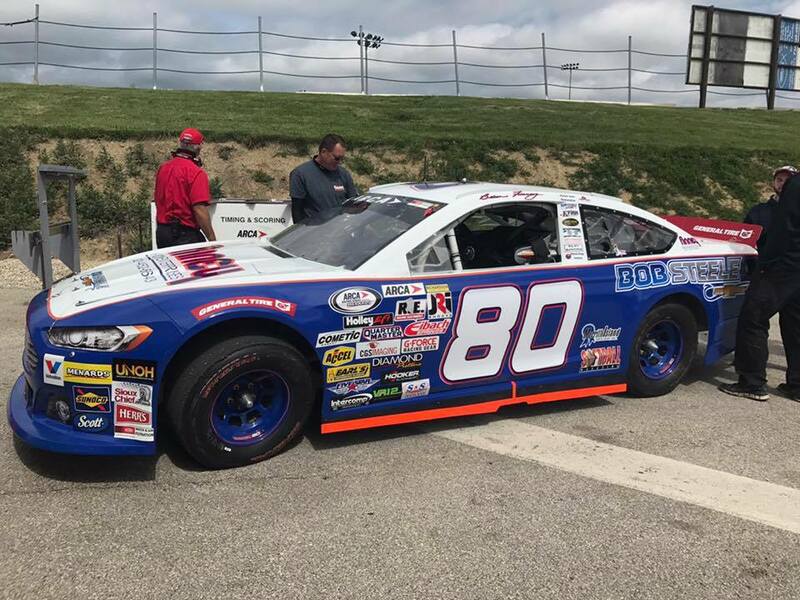 If you’d like to sponsor and support the team, head over to Finney Racing Enterprises. 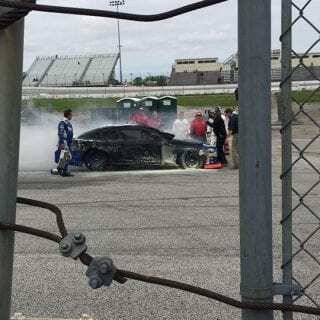 Watch the Toledo Speedway ARCA fire below to see just how scary a “poor safety response” can be.